Thank you for your interest in ABEL Corp. Interested in getting a quote? Have questions regarding our services? Need someone to call you back regarding an order or delivery? Please complete the fields below and someone will contact you promptly. We genuinely look forward to hearing from you and learning more about your needs. Whether you’re looking for a straightforward quote on a single run of cabinets or need a detailed budget estimate for a large-scale construction or renovation project, we can provide you with the information you need to make a timely and confident decision. We can also assist you with product design, resource planning, and logistics support. Basically, whatever questions or concerns you have, ABEL Corp. has the answers and solutions you need. Fill out our short online contact form and one of our project managers will get in touch with you shortly. Be sure to include a brief description of your needs so we can get back to you with the information you require as quickly as possible. For more immediate and pressing concerns, feel free to call us directly during our normal business hours. Someone will be standing by to take your call Monday thru Friday, 8am to 5pm. 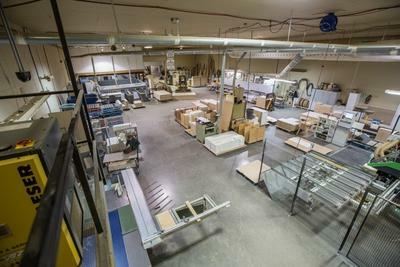 If you haven’t already done so, we invite you to check out our services page to learn more about the high-quality millwork and cabinetry products we offer as well as the competitive advantages that set us apart in the industry. ABEL Corp. is trusted by some of the largest companies in the world, including architectural firms, modular builders, and contractors because we truly understand the needs of our customers and go above and beyond to ensure total satisfaction with the final product. Again, we thank you for considering ABEL Corp. as your partner and provider of fine furniture and custom cabinet solutions for the hospitality, industrial, commercial, and residential industries. We look forward to meeting (and exceeding) your needs with the highest-quality products delivered on time and within budget. Get in touch with us today to learn just how beneficial our partnership will be.